It’s the classic nature vs. nurture question that dentists get asked often, but the answer doesn’t simply boil down to one or the other. The scary truth is that many dental problems are indeed “inherited”–but not from genetics alone! Harmful habits that run in the family can also play a huge role in the health of your child’s smile. Find out which oral issues you could be passing down, and what you can do about them. 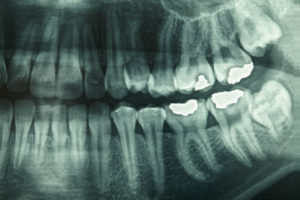 Jaw-related Disorders: The size and position of one’s jaws, as well as overall facial structure, are hereditary traits that can cause a number of bite complications (or “malocclusions”). Overbites or underbites caused by uneven jaws can lead to chewing and speech difficulties, and result in chronic pain and/or Temporomandibular Jaw Disorder (“TMJ”) if left untreated. Tooth Misalignments: Spacing problems, either due to missing or overcrowded teeth, are oral issues that have been hardwired in a person even before the emergence of teeth. 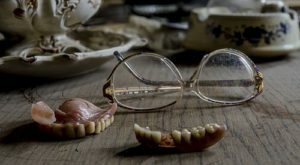 Cases where people lack some (“Anodontia”) or all (“Hypodontia”) permanent teeth can threaten gum and jaw health, as can instances of “supernumerary” teeth, in which extra teeth erupt. Weak Tooth Enamel: Though rare, it is possible for tooth enamel to be defective, or develop abnormally. Dentin, which makes up the protective enamel covering of teeth, may not be produced or mineralize at normal levels, leaving teeth vulnerable to decay, sensitivity and damage. Predisposition To Oral Cancer: Genetic mutations and the presence of oncogenes, a type of gene that transforms healthy cells into cancerous ones, can increase the risk for cancer by interfering with the body’s ability to metabolize certain carcinogens. From serious conditions such as a cleft palate, to occasional aggravations like canker sores, many other oral issues may be linked to genetics. Keeping track and sharing the family’s health history with your child’s dentist can help detect and treat inherited conditions as early as possible. “Oversharing”: Harmful oral bacteria from a loved one can easily colonize and overtake your little one’s mouth from something as simple as sharing food, utensils, or kissing. The inadvertent swapping of saliva can put your child at increased risk for cavities and gingivitis. Diet Choices: Satisfying that sweet tooth with sugary, refined treats, or turning to soda and juice for refreshment can create an unhealthy addiction that’s as dangerous to the mouth as it is to the waist. Sugar and acid can eat away at the tooth enamel, causing cavities and tooth sensitivity. Exposure to certain chemicals and ingredients can also cause discoloration. Bad Hygiene: Last, but certainly not least, lacking a good dental routine can wreak havoc on teeth and gums. Failing to follow through on brushing and flossing twice a day (or as recommended by the dentist) can create a haven for cavities and periodontitis, not to mention halitosis. Leading by example is an easy, effective way to teach your child the importance of oral health while benefitting the whole family. 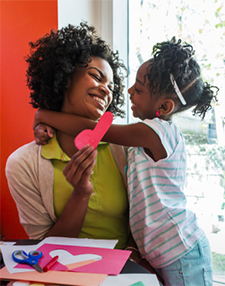 Every parent wants the best for his or her child–including a healthy smile. With so many potential problems that can be passed down, protecting your child’s oral health is not easy, but you don’t have to do it alone. Seek the help of your child’s dentist for optimal professional and at-home dental care. Treating existing issues early on and teaching your child to make dental-friendly decisions can provide lifelong benefits to his or her health. Canker sores are quite literally a sensitive issue, but someone has to talk about it! What are canker sores (or “stomatitis”), why do they appear, and what can be done about them? Anyone who’s ever had mouth sores can attest to the fact that they are just as embarrassing as they are painful, but simply suffering through them does you no good. Get the facts on this common problem to take control of the situation before another outbreak. Because they are similar in name and can appear within fairly close proximity of each other, canker sores are often confused with cold sores. An easy way to tell the difference right off the bat is by checking to see if it’s on the inside or outside of your mouth. Cold sores, which are viral and highly contagious in nature, will appear outside of the mouth, on or close to the lip area. Canker sores, on the other hand, are not contagious and emerge along the insides of your cheeks, gums and the roof of your mouth. If you spot an inflammation with a white center and red border inside your mouth, and it causes sensitivity or soreness when talking or eating, it’s most likely a canker sore. It is also worth noting that canker sores tend to be more common in teens, young adults, and women. Understanding what caused the outbreak can also help you take preventative measures to minimize the chance of future flare-ups. If sores are food or allergy related, for example, simply steering clear of triggers can keep stomatitis at bay. If painful sores persist past the ten-day period, are over a half-inch wide, and/or are accompanied by other symptoms such as diarrhea, joint pain, rashes or fever, see a dentist as soon as possible. Depending on the severity of your situation, he or she may prescribe medication, surgery, or recommend diagnostic tests. Even if your symptoms are mild, a dental exam can help rule out serious health concerns that could be causing the problem, and give you peace of mind. Dental x-rays are a common diagnostic procedure that is considered extremely safe. Digital dental x-rays have very low doses of radiation, producing just a fraction of what you are exposed to in other imaging procedures. 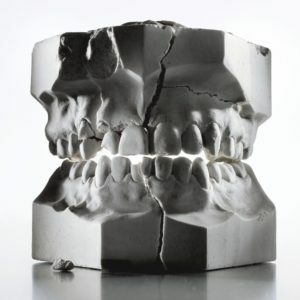 If you’re worried about whether you need dental x-rays, or wondering if you should forego this procedure due to other medical conditions, it’s helpful to dive a little deeper into what dental x-rays involve, why they’re performed, and how they’re best handled. When these x-rays are performed properly with adequate safety precautions in place, there’s very little cause for concern. A routine examination with four bitewing x-rays exposes you to roughly the same amount of radiation you will experience during one to two hours on an airplane. Without an x-ray, many of these problems could go undiagnosed. With an x-ray as a reference, dentists are also better equipped to prepare tooth implants, dentures, braces, and other similar treatments. Pregnant women are generally advised to avoid dental x-rays. Though the radiation is minimal, it’s best to avoid all exposure when possible for the health of the developing fetus. For this reason, it’s important to tell your dentist if you are or may be pregnant. However, there are some instances where pregnant women should still have dental x-rays performed. If you have a dental emergency or are in the middle of a dental treatment plan, you may still need x-rays during your pregnancy. Discuss the issue with your dentist to determine the best way to proceed. It’s crucial that you balance both your dental and prenatal health. Women with periodontal disease are at a higher risk of adverse pregnancy outcomes, so you shouldn’t neglect your teeth during pregnancy. Your dentist can take greater precautions, such as using a leaded apron and thyroid collar, for all x-rays taken during your pregnancy if the procedure is deemed necessary. Keeping your dentist informed at all times is the best way to proceed. There are many things that your dentist can do to minimize the radiation from x-rays. Taking a single image rather than multiple images decreases exposure significantly. You can also speak to your dentist about using the lowest radiation setting possible, particularly for children. Leaded coverings can protect certain parts of your body from radiation. One study revealed that performing a careful clinical evaluation of the patient can reduce the need for x-rays as much as 43 percent without any increase in the rate of undiagnosed diseases. So, if you’re concerned about exposure, ask your dentist to perform a visual examination before ordering x-rays. But keep in mind that there are several issues that there are many conditions that would likely only be diagnosed through x-rays. To further minimize your need for x-rays, if you have x-rays from a previous dentist, make sure to transfer these to any new provider to eliminate the need for repeat procedures. Dental x-rays are considered extremely safe. However, it’s important to understand the purpose of any procedure that will expose you to radiation. Don’t hesitate to discuss the need for dental x-rays with your dentist to better understand how he or she can help protect and improve your oral health. http://woodviewos.com/wp-content/uploads/2017/03/woodview_oral_surgery_logo-300x97.png 0 0 StarlightSocialDC http://woodviewos.com/wp-content/uploads/2017/03/woodview_oral_surgery_logo-300x97.png StarlightSocialDC2018-03-15 07:31:482018-10-06 07:32:54How Safe Are Dental X-Rays? Backaches, sleepless nights, upset stomach. Just reading about the physical manifestations of stress can trigger a headache. Unchecked, stress can contribute to serious health conditions including high blood pressure, diabetes, and heart disease. There’s another, less obvious part of our body both affected by stress and a sign of it: our pearly whites. “Sometimes people end up with issues that they didn’t even know were dental, and they didn’t even know they were stressed,” says Danine Fresch Gray, a general dentist who owns Clarendon Dental Arts. Clenching or grinding the teeth, a common dental problem that can be related to stress can cause headaches, chipped or flattened teeth, and tight jaw muscles. 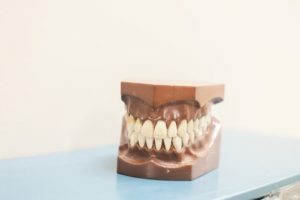 Improper bites and the breakdown of the temporomandibular joint connecting the skull to the jawbone may contribute to these dental woes, says Richard Rogers, a dentist in Frederick. Stress exacerbates grinding in those situations. Teeth-grinding and clenched jaws aren’t the only oral-health manifestations of stress. A 2007 review of scientific studies found that there’s a relationship between stress and periodontal disease, which includes gum and tissue infections such as gingivitis. Recent research from Canada also found that participants with more perceived stress reported poorer oral health and greater oral pain compared with participants who had less stress. Alex Vasiliou, the lead author of the study, explained in an e-mail that cortisol—a hormone involved in the body’s stress response—impairs the immune system, making a person more susceptible to gum disease. Fresch Gray has seen the number of patients with stress-related symptoms increase in the past year. Although it’s tempting to blame Twitter rants and turbulent politics, other factors no doubt contributed. According to a recent “Stress in America” report from the American Psychological Association, Americans on average reported more physical symptoms of stress in 2017 compared with 2016, including anxiety, anger, and fatigue. The most common sources were the “future of our nation,” money, and work. It was the first significant increase in stress levels found by the APA since the inaugural survey in 2007. While there are no Washington-specific numbers, a national survey in January 2017 found that 62 percent of urbanites were stressed by the election of Donald Trump, compared with 45 percent and 33 percent of people in suburban and rural areas, respectively. She recalls one patient who recently came into her office. A veteran who served in Afghanistan, the man was having trouble sleeping and was clenching his jaw. “I asked about PTSD, and he had it,” Fresch Gray says. “That stress is daily in his life, and we kind of got to the root of it, but I’m not necessarily the person to help with that.” She recommended he participate in a sleep study to diagnose any sleep disorders. Dentists usually have their own clinics and private practices, and in these clinics, they have all the tools they need to treat their patients. Apart from general and cosmetic dentistry, one of the most often sought service of a dental professional is surgery. Procedures, such as root canal, tooth extraction, dental implantation and severe gum disease treatment are all considered surgeries. Good dentists are always prepared for emergency treatments, which means their clinics carry the complete set of oral surgery equipment. 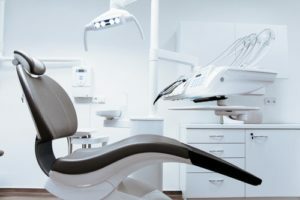 If you want to be the top emergency dentist Chicago, here are the essentials that you must have in your clinic when performing oral surgery. These are the tools used for cleaning out the root canals during the root canal procedure. They are small handheld devices which are attached to a hose. Aspirators come in a range of sizes and curvatures to ensure that the tip is a perfect fit for the tooth being treated. Aspirators are inserted into the root canals to remove the infected areas and clean out the debris. Once emptied, the canals will be disinfected and filled with gutta-percha. Suctions are used to remove water, saliva, blood and other debris on the surgical site. Suction tips also come in different sizes and designs to fit every patient’s needs. Removal of debris is necessary to avoid the spreading of infected matter, particularly blood. These syringes are filled with a saline solution to clean and disinfect the surgical site during the actual operation. The needles used for these syringes also vary depending on the location and depth of the surgical site. Probably the most important tools of all, hand tools are what enable surgeons to perform the operation gracefully. All of these hand tools come in numerous varieties that depend on their purpose. Forceps are used to pull out or hold teeth, gums, and tongue. Rongeurs are like pliers that cut the teeth, instead of scrape them, making interior cleaning faster and easier. Hemostats are used to stop bleeding and have a similar appearance to forceps. Burs are small drills used to remove tooth mass, especially when cleaning out cavities. Elevators are used to pull up or elevate the tooth for extraction. Scissors are used to cut through tissue, whether on the gums, cheek, or tongue. Scalpels are used to make incisions when necessary, such as when removing an abscess. Curettes are used to scoop out tissue mass, often for biopsy or further examination. Needles and needle holders are used to close the surgical site. Needle holders look like small scissors with tight plier-like tips to hold the needles steadily. Surgical needles are curved to easily make sutures around the surgical site. Dressing is used after the site is sutured so that it will be kept clean. The dressing can be applied with a disinfectant-like betadine to prevent infection. ?Binocular loupes. Goggle-like lenses with lights to enable dentists to see the surgical site. ?Bone files. Used to scrape rough edges on bones to smoothen them. ?Retractors. Used to separate gums from tooth to enable easy cleaning. Other varieties separate the tongue from the other parts of the mouth. ?Bite blocks. Used to keep the mouth open during surgery. ?Anesthetics. Used to numb the surgical site to prevent the patient from feeling pain. ?Sedation. Used to keep the patients calm and relaxed, specifically those who have fear of dentists or dental environments. ?Antibiotics. Used before, during, or after the surgery to prevent infections. ?Electrosurgical devices. Electronic substitutes for handheld devices. ?Mouth mirrors. Used to see the interior angles of the patient’s mouth. As a dentist, you need to have all of these tools in your clinic if you want to always be ready for emergency treatment. Do you have these tools in your clinic?